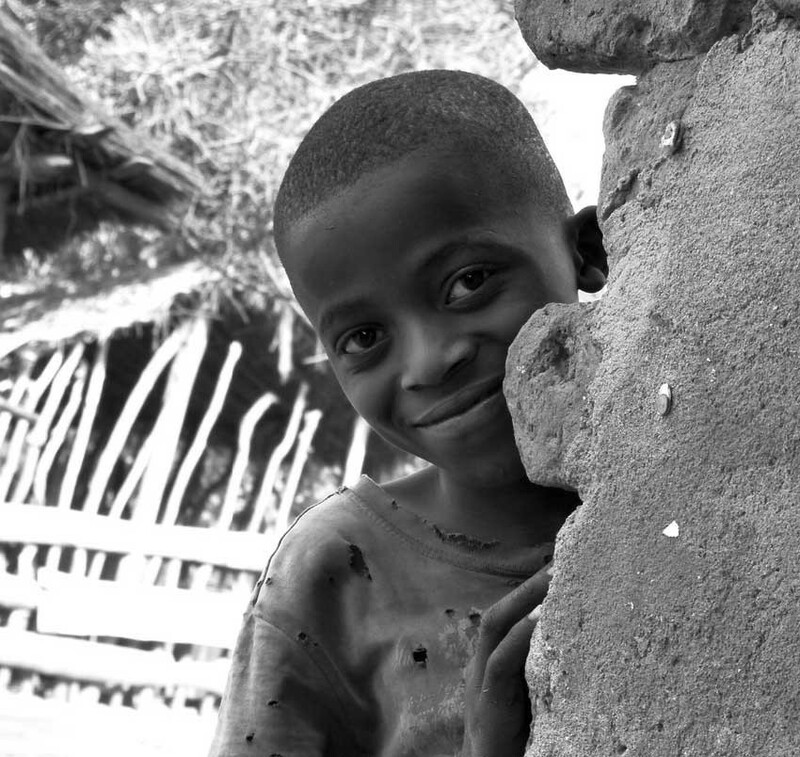 INLUMEMo village, Morogoro Region of Tanzania, a boy of around 8 or 9 years of age peeps round a wall and smiles shyly. He wears a ragged t-shirt and obviously is not at school that day. He is one of many in the rural townships here where opportunity is limited and poverty and disadvantage are high.